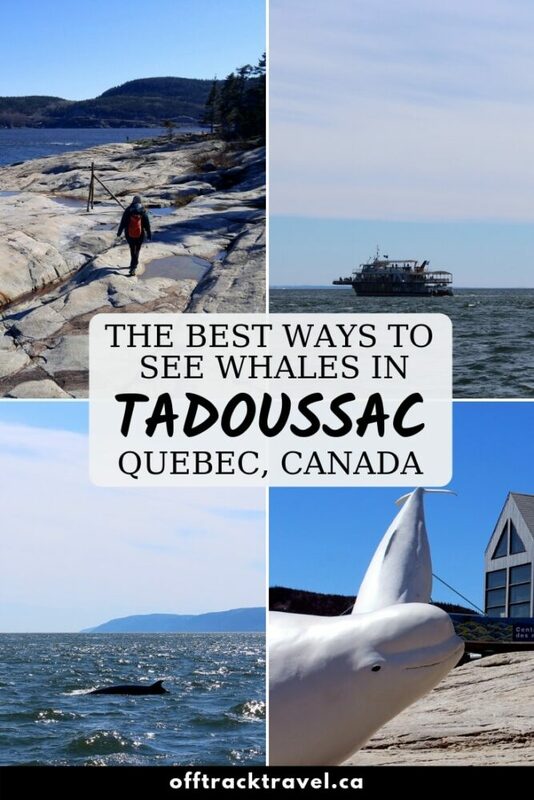 The small town of Tadoussac in Quebec is one of the best places in the world to go whale watching. The reason is simple. Tadoussac sits at the confluence of the freshwater Saguenay River and salty St Laurent River. Three undersea currents meet here and cause an abundance of plankton and other whale food, which in turn attracts the whales. 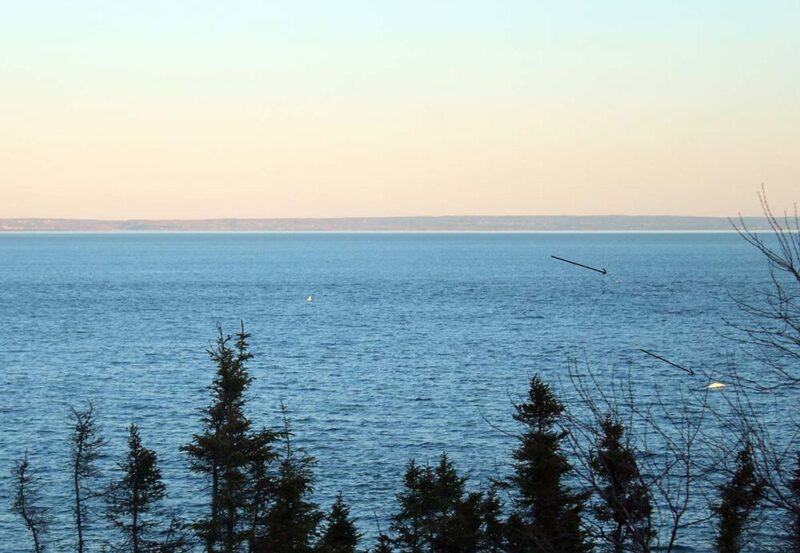 As many as thirteen different species of whales can be spotted in this area, which is about a three-hour drive north of Quebec City. 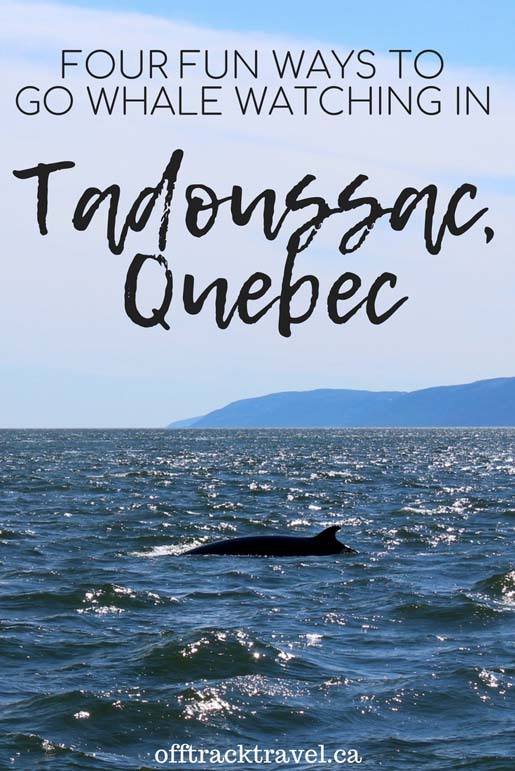 With the chance to see the endangered beluga as well as the legendary blue whale, whale watching in Tadoussac is incredibly varied.It is also exceptionally easy! 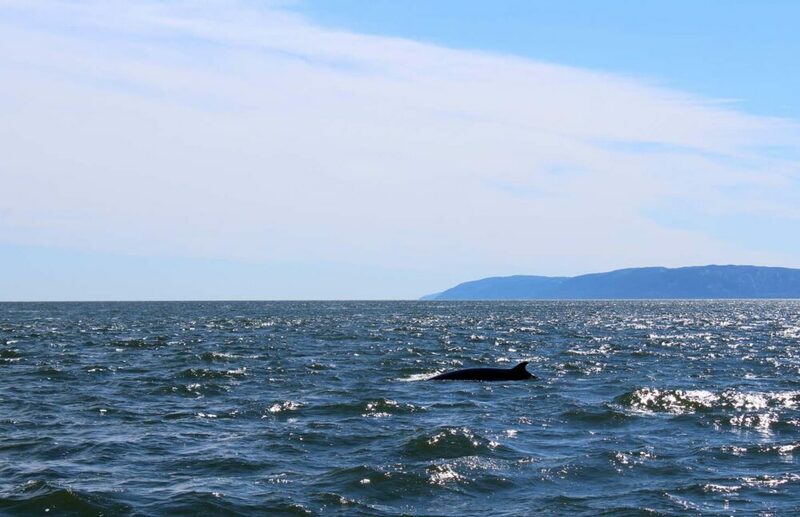 During our early May visit, we found four fun ways to go whale watching in Tadoussac. 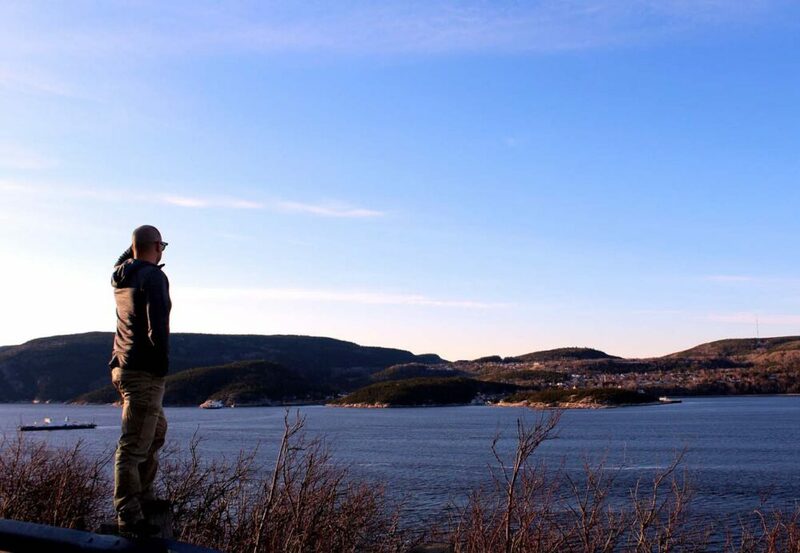 Whether you like to be taken directly to the whales or prefer to try spotting them yourself from shore, Tadoussac is a whale watcher’s dream. 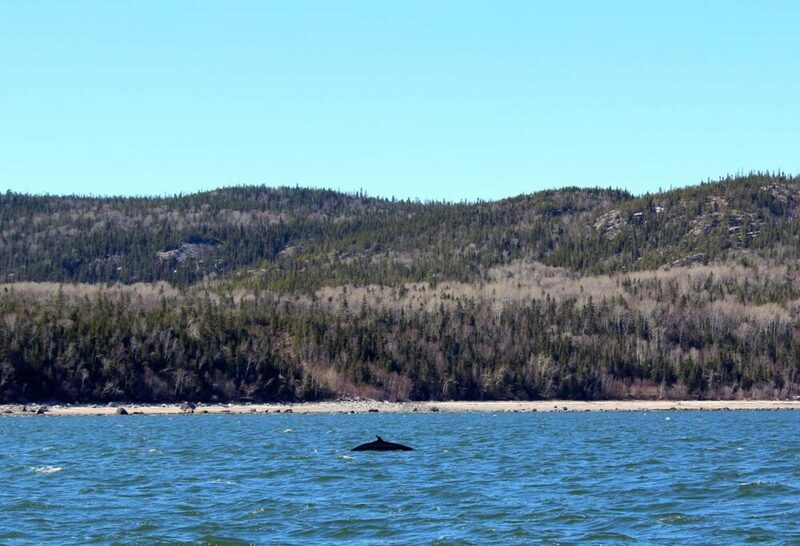 Whales can be seen in the waters surrounding Tadoussac all year round. The variety and number of whales, however, does fluctuate between seasons. Most of the whales travel through the area from May to November. Only the belugas and blue whales stick out the colder weather. 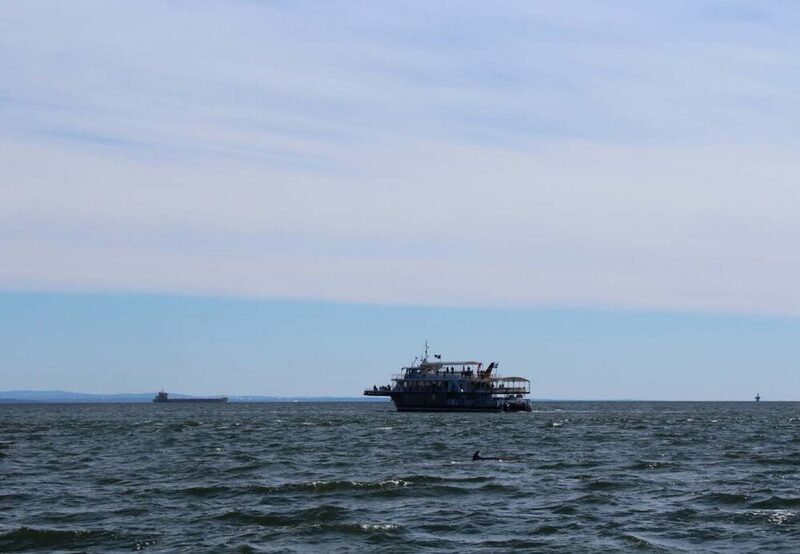 The peak season for whale watching in Tadoussac is late June to early September. For the most choice in boat tours and departure times, this is the time to visit. 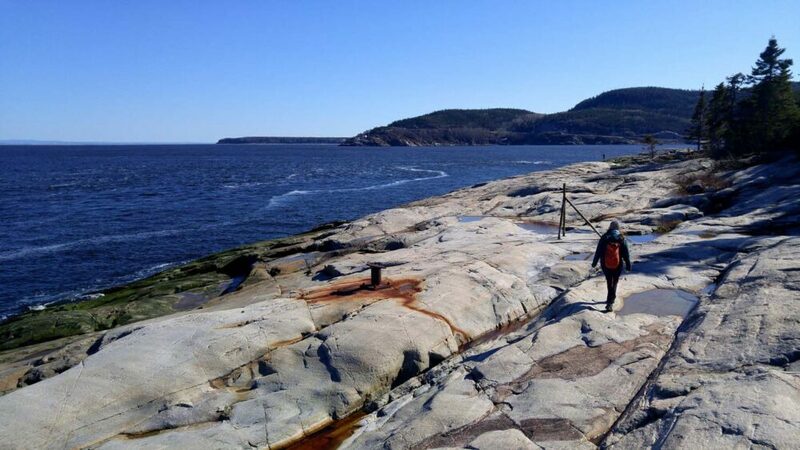 Tadoussac receives fewer visitors in September and October but the whales remain quite active and high in number at this time. 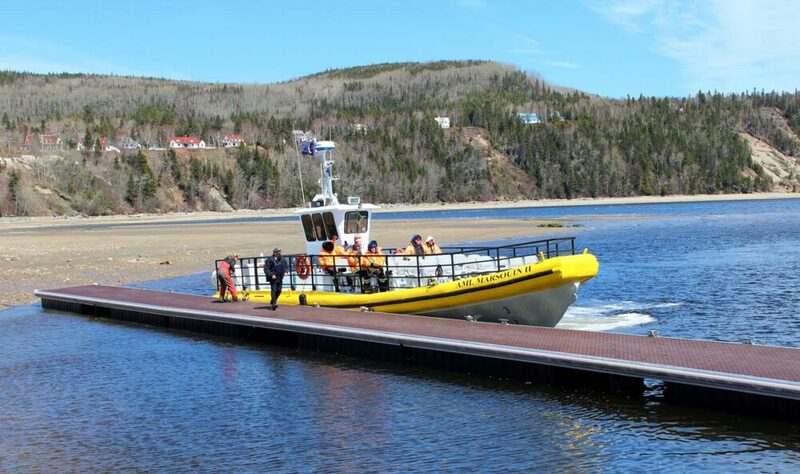 The absolute easiest way to go whale watching in Tadoussac is to take a boat tour. No tour company can guarantee whale sightings, but the tour guides are masters are spotting whale fins and know all of their favourite spots. We went on a 2.5-hour long Zodiac whale watching tour with AML Cruises and saw belugas, seals and a half a dozen minke whales. 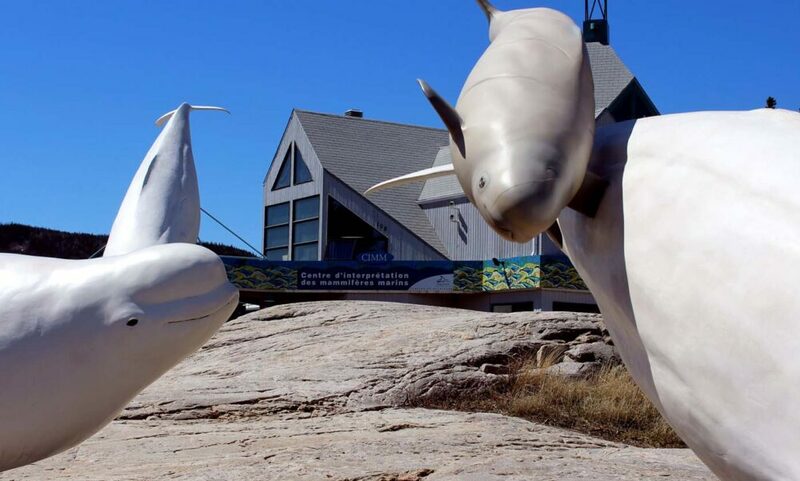 As well as booking a whale watching trip direct from Tadoussac, it is also possible to book a tour from Quebec City or even Montreal. Boats are larger, typically more stable (better for photos) and have sheltered seating areas, washrooms and food/drink availability. The boat tours are usually last longer. Special suits (splash proof trousers and jackets) are provided for Zodiac tours, however, we still both wore warm layers underneath plus hats, gloves and scarves. For a more intimate encounter with whales, consider a kayaking trip on the St Laurent or Saguenay Rivers. Not only is the scenery spectacular, but the chance to paddle with whales is a once in a lifetime experience. Kayaks move almost silently through the water and hence disturb whales less than a motorised boat. 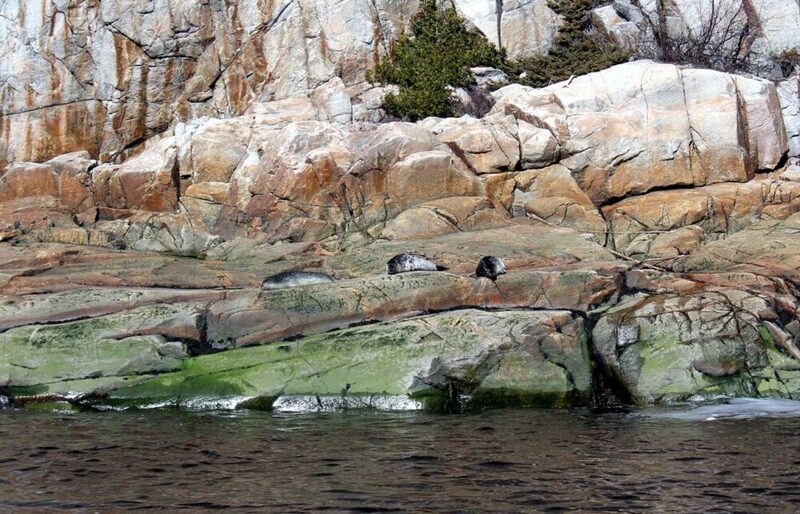 Mer et Monde offer both full and half day kayaking tours from Tadoussac and their basecamp at Les Bergeronnes. For the full whale watching experience, try booking a spot at Mer et Monde’s campground. 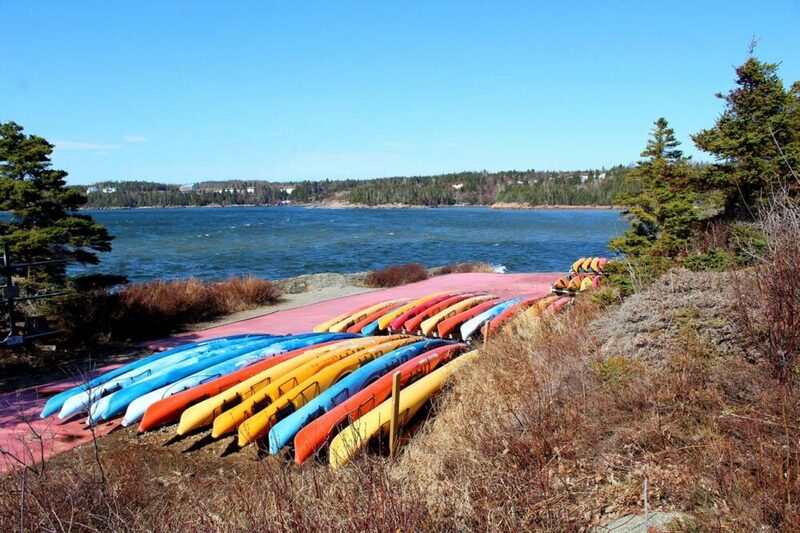 Just a 25-minute drive north of Tadoussac, many of the campsites are located directly on the water with panoramic views of the St Laurent River. We were lucky enough to see two belugas from here! 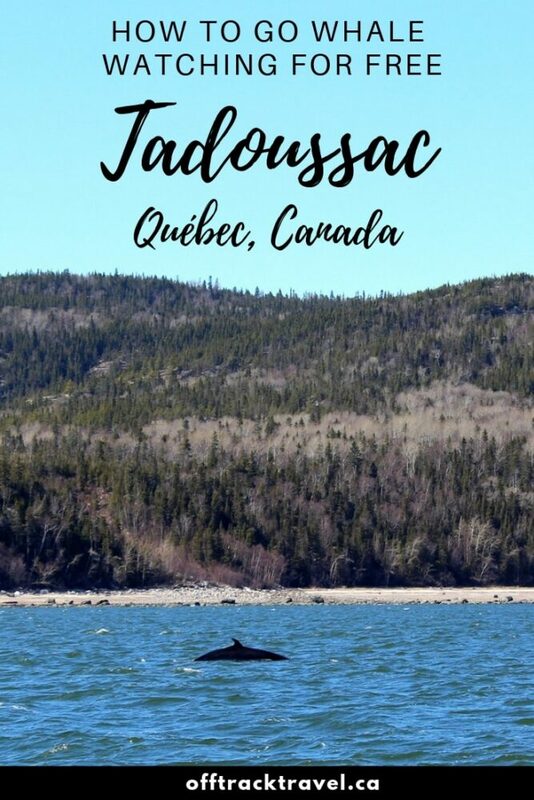 There can’t be too many places in the world where it is possible to reliably see whales from shore, but Tadoussac is lucky enough to be one of them. 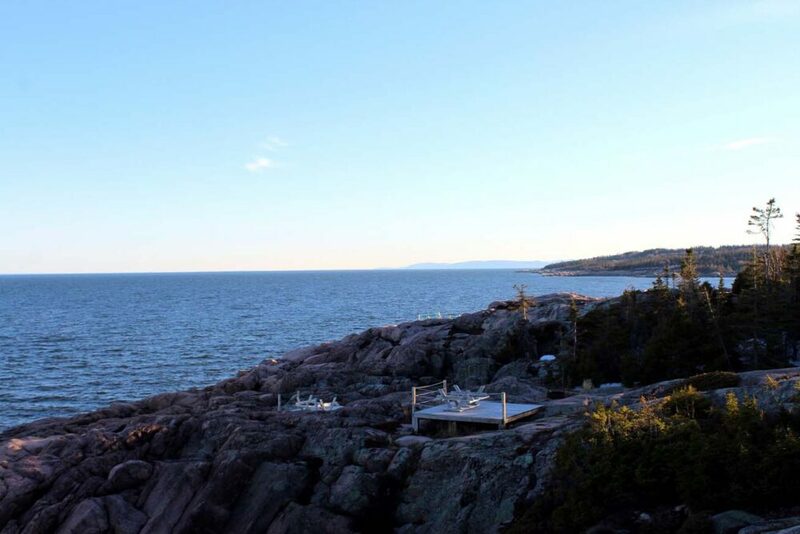 Sentier de la Pointe-de-l’Islet viewpoint– Starting at Tadoussac’s marina, this easy trail travels towards the mouth of the Saguenay River. Try to spot whales from the boardwalk or get a better view from the rocky shoreline (caution required). 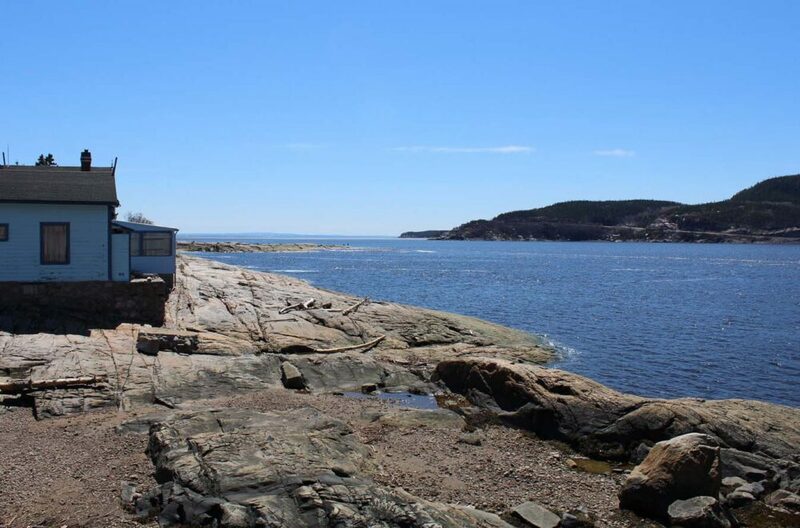 Pointe Noire Interpretation and Observation Centre – Just before reaching the ferry terminal towards Tadoussac, stop at Pointe Noire for a high angle view of the Saguenay River mouth. You can also make a quick stop at the pullout just after Pointe Noire – we saw a couple of belugas from here! Cap-de-Bon-Désir Interpretation and Observation Centre – Whales love the shallow waters surrounding rocky Cap-de-Bon Désir, a Parks Canada site just a short drive north of Tadoussac. There’s also a lighthouse here to explore. 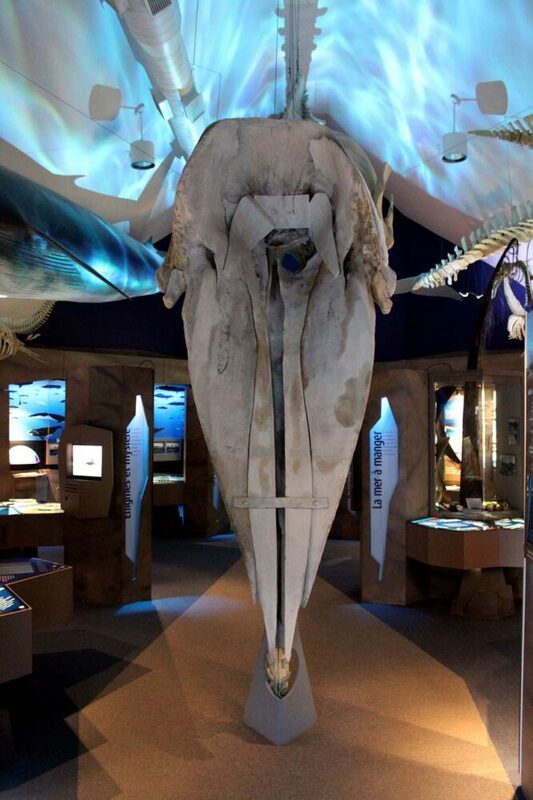 Marine Mammal Interpretation Centre – Not only is the CIMM an interesting place to visit (see below), but it offers a great vantage point of the Saguenay River. Staff may be able to help with identification of any sightings. 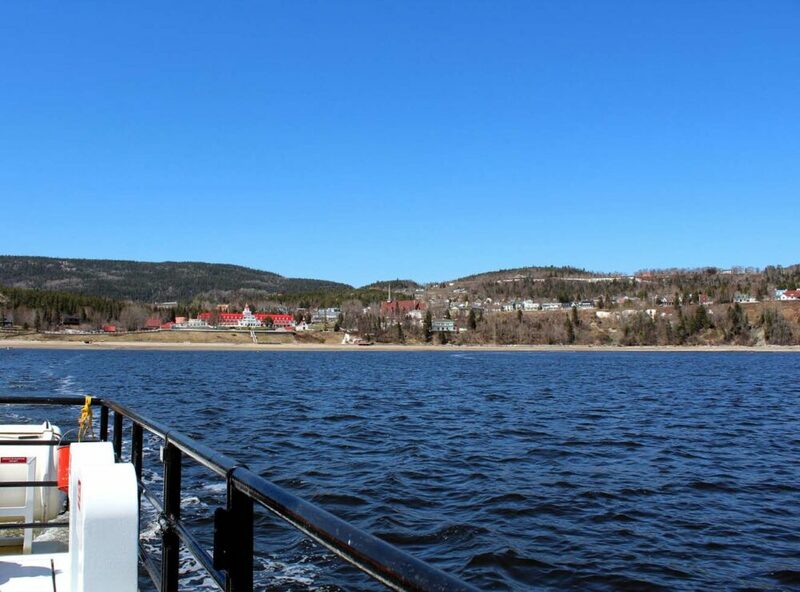 A ten-minute ferry ride is required to reach the town of Tadoussac from the south. The ferry travels across the mouth of the Saguenay River, giving great panoramic views of both Tadoussac and the Saguenay fjord to the west. The waters here are especially popular with beluga whales. 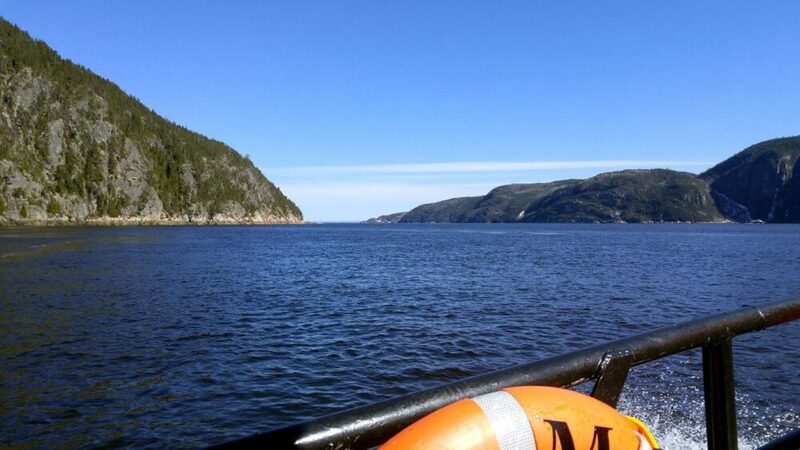 Travelling into Tadoussac, we managed to spot one lone beluga whale on the other side of the river. Being part of the highway, this short ferry ride is completely free for both vehicles and passengers. It runs continuously back and forth across the Saguenay, so there’s no need to worry about missing a scheduled crossing. Before heading out to whale watch in Tadoussac, I’d highly recommend a visit to the Marine Mammal Interpretation Centre. Usually open from mid-May to late October, the CIMM is a great place to learn more about the whales that call the Tadoussac area home. Displays in the CIMM are in French but there are English guides available to use. There is also an educational movie in both English and French. Looking to book a stay in Tadoussac? 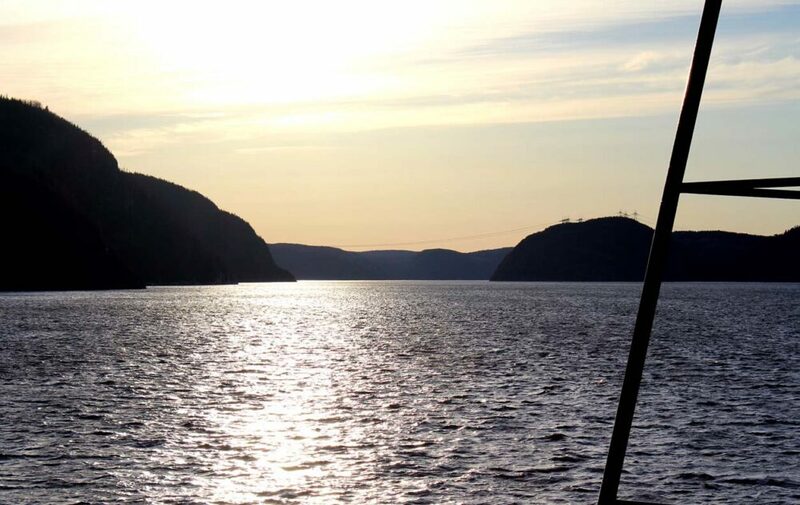 Our visit to Tadoussac and Quebec’s Côte-Nord region was organised by Quebec Maritime – all editorial content and opinions remain our own, as always..